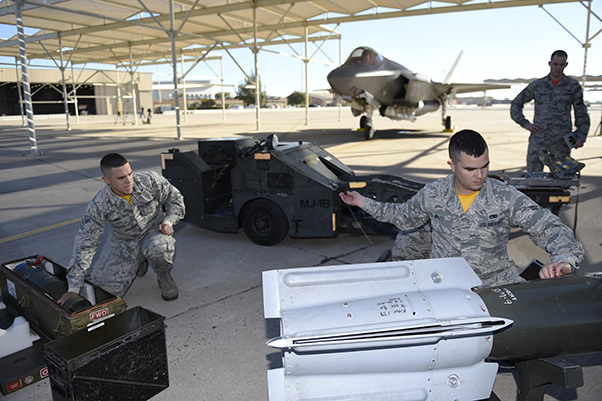 Weapons load crew members from the 61st Aircraft Maintenance Unit load an F-35A Lightning ll during a load crew competition Dec. 18, 2015, at Luke Air Force Base, Ariz. For the first time, the F-35 was used in the competition against the F-16 Fighting Falcon at Luke AFB. Quarterly load crew competitions showcase the combat readiness and effectiveness of load crew teams to safely and properly arm an aircraft within time constraints to meet mission challenges. Three-man crews from the 61st Aircraft Maintenance Unit, 309th AMU, 310th AMU and the 425th AMU went head to head to earn the fourth quarter win. The competition provided an opportunity for the crews to demonstrate their ammo-loading skills on both the F-35 and F-16. 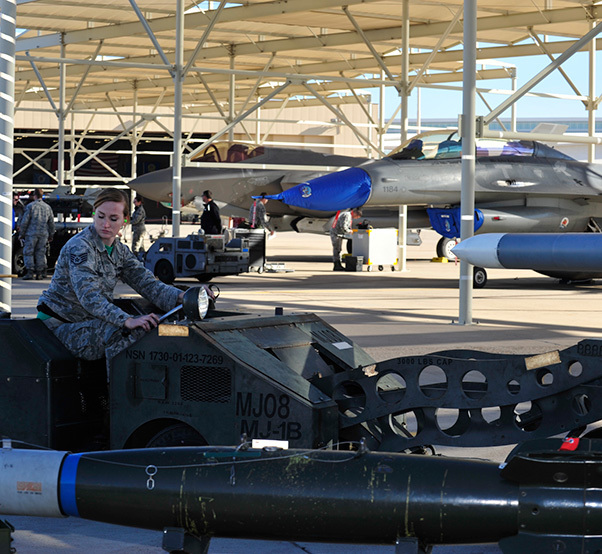 “The weapons load competition is a healthy rivalry amongst the aircraft maintenance units to seek out the best of the best within the AMUs,” said MSgt. James Byers, the 61st AMU F-35 weapons section chief. For the 61st AMU team, loading the F-35 is a skill they have been developing since the arrival of the jet, but their skills had not yet been tested against F-16 crews, many of whom have been working on their airframes for years. 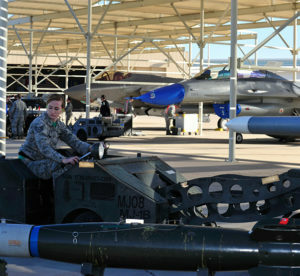 The competition proved that both airframes at Luke AFB, the F-35 and F-16, have capable crewmembers. Staff Sgt. Cally Hatrick, a 310st Aircraft Maintenance Unit weapons load crew member, prepares to load an F-16 Fighting Falcon during a load crew competition Dec. 18, 2015, at Luke Air Force Base, Ariz. For the first time, the F-35A Lightning ll was used in the competition against the F-16 at Luke AFB. Three-man crews from the 61st AMU, 309th AMU, 310th AMU, and the 425th AMU went head to head to earn this quarters win. Involvement in this contest was significant for the F-35 program at Luke AFB. The winning teams from each of the previous quarters will compete Jan. 22. 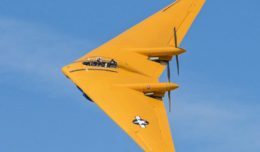 The winning crew will represent Luke AFB and take on the load crew team from the 49th Maintenance Group at Holloman AFB, N.M. Only one team can take the title and be crowned champions as weapons load crew of the year. The final competition will be Jan. 29, against Holloman. 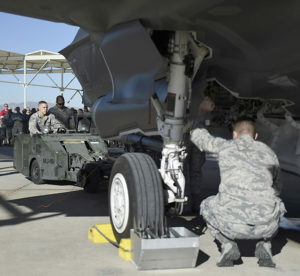 The hard work of the F-35 weapons load crews will be seen during their first weapons drop scheduled to occur early 2016. Airman 1st Class Matthew Wolfel, a 61st Aircraft Maintenance Unit weapons load crew member, prepares to load an F-35A Lightning ll during a load crew competition Dec. 18, 2015, at Luke Air Force Base, Ariz. For the first time, the F-35 was used in a competition against the F-16 Fighting Falcon at Luke AFB.